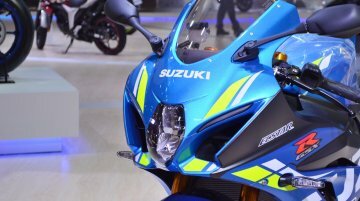 Suzuki Motorcycle India Private Limited (SMIPL) announced the price cut for its big bike range- the Suzuki GSX-R1000R and the Suzuki Hayabusa in wake of the new policy announced by the Central Board..
Suzuki Motorcycle India has showcased the 2018 Suzuki GSX-R1000R at this year’s Auto Expo in Greater Noida. Here are the track tamer's live images from the event. 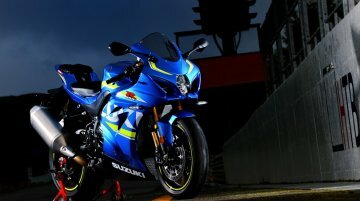 The 2018 Suzuki GSX-R1000R.. 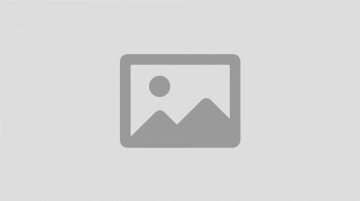 The 2017 Suzuki GSX1000R has been called the King of Sportsbikes by Suzuki. 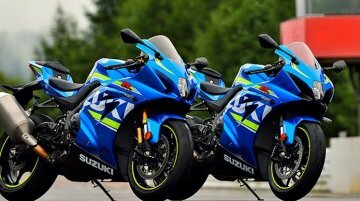 Suzuki Motorcycle India Private Ltd has launched the 2017 Suzuki GSX-R1000 and 2017 Suzuki GSX-R1000R in India. Being the.. 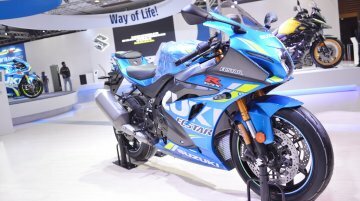 The Suzuki GSX-R1000 and the GSX-R1000R were unveiled officially at the Intermot 2016. 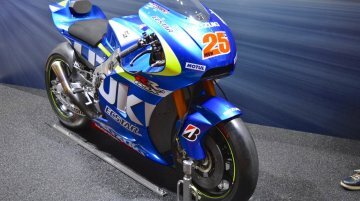 Suzuki has announced the prices of their new litre class flagship in the UK. Available in two versions, Suzuki..
Previews the next generation Hayabusa. The Suzuki concept GSX has premiered at the 2015 Tokyo Motor Show, today. The sculpture serves as a design study, previewing the design direction of the..
Suzuki Motorcycles India Pvt. Ltd., which launched the Hayabusa and the Intruder in India in November last year, and has since then, sold a total of 51 units in total. 23 units of the 320+ Km/hr..